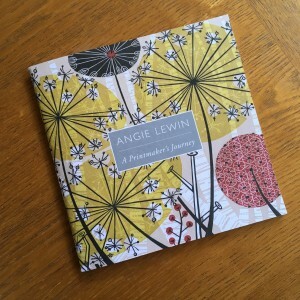 On Saturday we finally went to the Angie Lewin exhibition at the Winchester Discovery Centre, A Printmakers Journey. It really is worth going, featuring her work, and work by some of the artists that have inspired her in the past and currently. There is one display case which includes one of her watercolour sketchbooks and plant life, which is really inspirational and has fantastic colours. 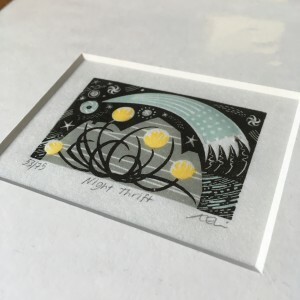 It also features work by Rob Ryan, including a pair of his Staffordshire dogs, and also features fabric sold by St. Judes including one of my favourites by Mark Hearld, it was so good to by able to see it and feel it. We managed to also get one of her wood engravings, Night Thrift, can’t wait to get it onto the wall! The exhibition is also touring after the end of April across Hampshire, more information with the Printmakers Journey link. 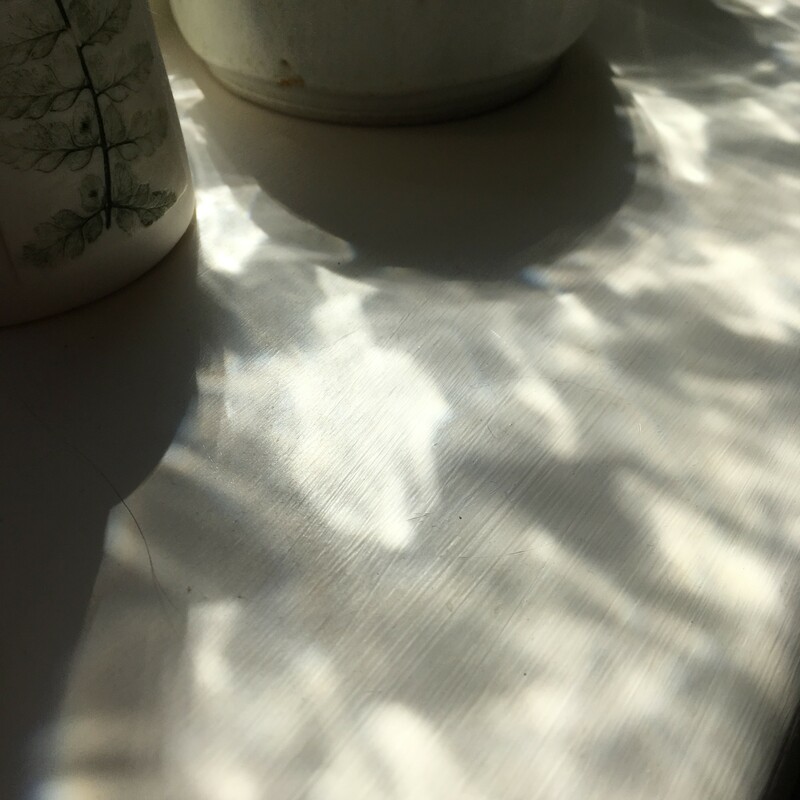 Yesterday was a beautiful spring day, beautiful sunny weather, and I love the way the light comes through our bathroom window. We also went for a really lovely walk, fantastically warm, lots of blossom too. I love the rows of trees that separate the fields and all the plants that grow through and around them, all very inspiring and encouraging me to start sewing… well soon! « Shops are stocked and ready to go! » New Year, whatever!